THE REGAL BEAUTY OF THE CLASSIC VERRAGIO DIAMOND ENGAGEMENT RING IS THE PERFECT PROMISE OF YOUR ENDURING LOVE. 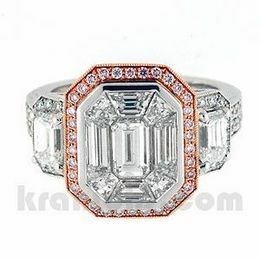 Designer Verragio's Renaissance Style of the C904P5 mounting is available in 14 karat yellow gold and white gold. This enchanting engagement ring features a .20 carat total weight of princess cut sapphires and round diamonds to enhance the setting. 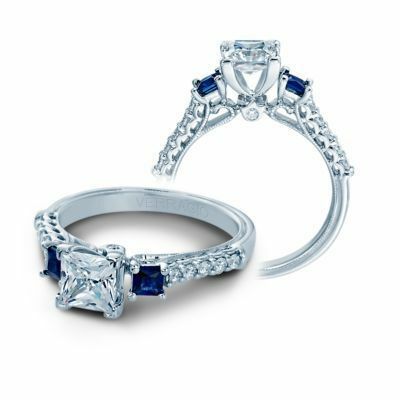 The delicate flow of this classic engagement ring offers a stately display of the a princess center stone accented by a rich sapphire on each side in a complimentary princess cut. The glitter of the round diamonds on the band add the just the right touch of extra sparkle making it a true classic stunner. 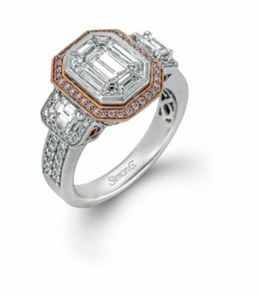 THE PERFECT DIAMOND ENGAGEMENT RING FOR THE CLASSICALLY BEAUTIFUL BRIDE.